One Piece Chapter 880: In OP 879, Katakuri true power was revealed. Fans got to know how powerful he is. Now, in One Piece 880, Luffy will continue to fight him. So far, none of Luffy’s attacks worked against him. As a result, he is still standing without any harm. On the other hand, Luffy seems to have stuck in a difficult situation. We came across the mochi of Katakuri and it was revealed to be much strong. It seems that Luffy will still have a tough time facing his opponent in the next segment too. In chapter 880 of One Piece, Sanji will be making the cake. The process and motive of making the cake will be unveiled to all, including fans. So, get ready to cope up with the cake baking for next few chapters. The baking will take place over next few chapters. So, you won’t be seeing Sanji with the cake for quite some time. Coming to the battle between Luffy and Katakuri, it will grow more and really intense this time around. In the last segment, we saw that Luffy has already used Gear Second and Gear Third against Katakuri. But, he wasn’t to cause some serious damage. Katakuri successfully dodged the Luffy’s attacks. He had predicted that he will use Gear Third. Now, Luffy has left with no choice other than using Gear Fourth on him. But, the spoiler reports say that it won’t be enough for the job as Katakuri is able to counter it. So, the time has come to Luffy to use something that even fans don’t know yet. Related: Dragon Ball super episode 109. The fight will take place over a next few segments. It’s because both of them are yet to go all out against each other. Meanwhile, we would see how the rest of the Straw Hat Pirates are doing to outperform Big Mom. It is likely that Germa 66 army may join the fight. 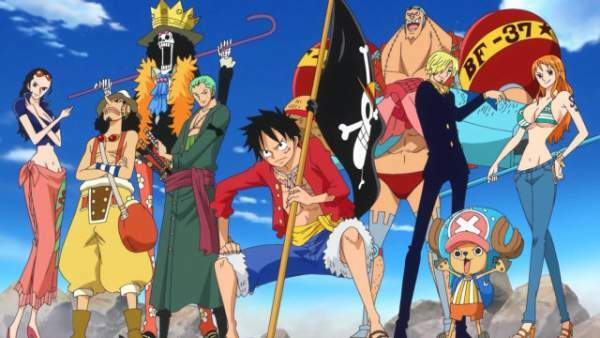 Without any doubt, 880 of OnePiece will have some of the most interesting and thrilling moments. OP 880 will be released on October 2, 2017. Let’s know your views and thoughts via commenting below. Will Luffy be able to defeat Katakuri? Stay tuned to TheReporterTimes for more manga updates.